There’s no getting away from it – the St Patrick’s Day parade is the epicentre around which the festivities revolve. While the parade of your youth may have been comprised of a disappointing line of trailers with placards promoting local businesses and a few green, white and orange balloons, even the smallest local parades these days usually boast a little more imagination. The big one is Dublin, drawing a whopping 500,000 onlookers annually but every city and town in the country has one from Galway (taking a slightly shorter route this year but boasting the brilliant talents of Macnas and Macnas Young Ensemble) to Limerick to Cork and beyond. If you have kids the parade is a no brainer. Dublin’s festival boasts 50 events across the city from today encompassing everything from trad to walks to talks, theatre, art and photography exhibitions, food fairs and more. Check out what’s on offer at www.stpatricksfestival.ie. Pepper Canister, 2 Mount St Crescent, Grand Canal Dock, Dublin 2, Thursday March 14, 7.30pm. 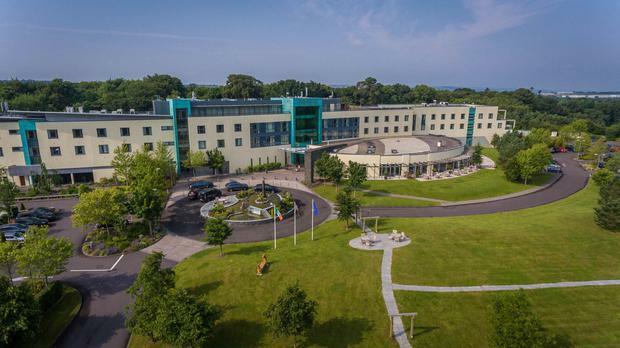 Aslan are getting set to entertain both Kerry and Cork crowds this weekend when they play in the hallowed venue that is Killarney’s INEC on Saturday night. The beloved Dubliners are playing The Olympia Theatre on Friday and Saturday night – not to be missed. Tickets €39. Currently on a tour of Ireland on the back of his album, On The Road, the legendary Irish artist will play Paddy’s Day Eve on March 16 at the INEC Gleneagle Hotel, Kerry. They blend violin, spoken word and Gaelic beats in their own particular brand of Gaelic gypsy hip hop. Entry €5. There’s also a free open mic night at the Roisin Dubh on the night. You can’t go wrong with a free gig at 11pm on Paddy’s night. The Counterfeits play the music of Steely Dan, Eric Clapton, Jimmy Hendrix, The Beatles, The Stones, Dire Straits and more. The Sound House, 28 Eden Quay, Dublin 1, Friday March 15, 7.30pm. EPIC The Irish Emigration Museum is working towards breaking down St Patrick’s Day stereotypes with their ‘There’s more to Ireland than…’ campaign. Over the weekend they’re encouraging people to exchange their green novelty hats and leprechaun beards for a free ticket to EPIC (March 17-20) where they can learn more about the influence the Irish have had on the world. “This is about showing people that as well as the craic, the pints and the shamroguery, there’s more to Ireland and the Irish,” says Mervyn Greene, Managing and Museum Director. EPIC is also running an exhibition, Across the Waves – The Seafaring Irish Exhibition (March 17, 10am) which explores the history of Irish at sea and their stories of adventure, opportunities and tragedy. An Interview with Game of Thrones star Liam Cunningham, hosted by Jim Carroll, and featuring guest performances by Fehdah & Eve Belle. Alcohol has become synonymous with St Patrick’s Day but if you’d rather indulge in a dry pursuit the Clockwork Door is hosting its third annual Sober festival with live music, workshops, live performances and a chat with the Sober St Patrick’s day foundation founder Bill Reilly. It takes place over Saturday 16 and Sunday 17 at 51 Wellington Quay, Temple Bar, Dublin. Tickets: €10 for a full day (guests must have a special password to gain entry that will be given out before Friday). Entrance to the escape rooms are not included in the ticket, though guests can ask to play the room at usual rates (between €25 to €19) on availability. St Patrick’s Festival Parade Grand Marshals Deirdre O’Kane and Jason Byrne will headline this year’s comedy event on Paddy’s night in support of Comic Relief. They’ll be joined by Tommy Tiernan, Pat Shortt, Neil Delamere, Mario Rosenstock and more. Tickets €39 to €45 from Ticketmaster so that’s pretty good bang for your buck. It’s the first of four dates of his You Have to Laugh show at the venue and he’ll be talking and playing songs on his keyboard, which he has apparently had since 1986. If you can’t make it to the 3Arena on Paddy’s night you can catch Neil for his solo show, Controlled Substance, on Saturday night. Tickets €25 from www.angrianan.com Show 8pm. Fota House & Gardens in Cork and Birr Castle, in Offaly are hosting trails daily from Saturday to Monday. At Fota it’s a bilingual trail running daily 10.30am to 3.30pm (adults free, children €5 with a treat). Birr Castle is hosting a St Patrick’s Day Snake Trail through the gardens, treehouse and playground. Admission tickets include the trail and it’s first come first served with face painting from 12 noon to 5pm daily. 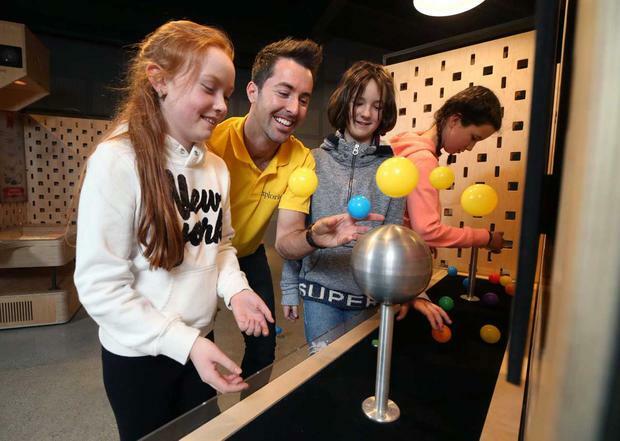 Explorium is bringing Explorium to the SFI Science Zone at Festival village in Merrion Square, Dublin 2 on Sunday and Monday with the chance to create fun themed inventions in the Maker’s Lab. There are also workshops at Explorium running across the weekend to give children a hands-on learning experience including soldering Shamrock LEDs and Light Cubes. There will also be six live science demos on ‘Forces of Nature’ across the long weekend. Workshops and science demos are available to guests of Explorium and included in entry fee.